Cosplay isn't only about the costumes. It isn't only about the cosplayers. The photographers are key. Cosplay is a photo-based medium. That's why many well-known cosplayers are reluctant to have their photos snapped out of costume or even why many always work with the same photographer. 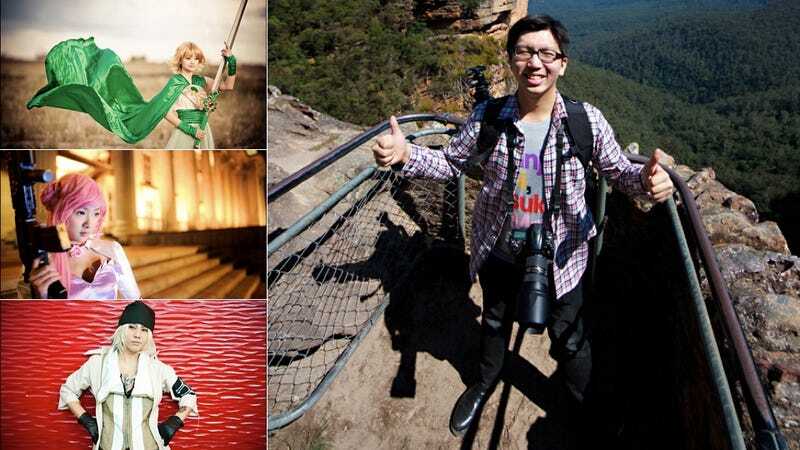 Today, Kotaku is looking at Singapore-based photographer Shiro Ang Yeong Hui. He does a fantastic job of not only capturing cosplayers, but also framing them against their backgrounds. The cosplayers and their costumes are just as important as the space they occupy. His photos reveal a strong sense of place and character. They're wonderful. Not all Shiro's work is cosplay photography. He is photojournalist, and his DeviantArt page, which I highly recommend, has concert photos, political rally pics, and photographs of stunning vistas. More in the link below.